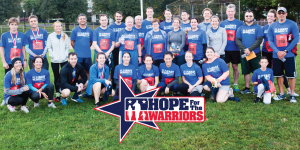 On Sunday, October 14, the 9th Annual American Society of Anesthesiologists (ASA) sponsored Run For The Warriors race will be taking place at Mission Creek Park in San Francisco in conjunction with the annual ASA conference. 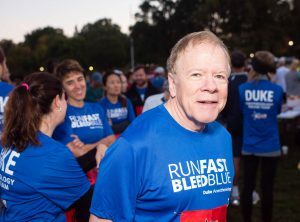 Among the many teams of anesthesiologists from all over the country running to honor our nation’s heroes is Duke Anesthesiology, who has been participating for the last eight years. Since 2016, their team has raised more than $19,000 for our mission and has contributed to the more than $306,000 that ASA teams have raised since 2012. 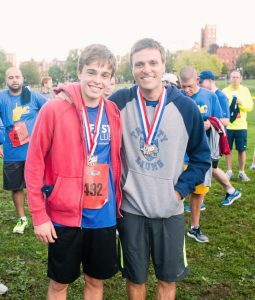 Dr. Atilio Barbeito, chief of Duke Anesthesiology’s Veterans Affairs Anesthesiology Service Division, who medaled along with his son, Jose, at last year’s race in Boston, shares why this race and cause is important to their department. We would like to extend our sincerest thank you to Duke Anesthesiology for their continuous support of our mission to restore self, family and HOPE through the Run For The Warriors race series! Good luck! Click here to donate in support of Team Duke Anesthesiology. Registration to run, walk or volunteer!